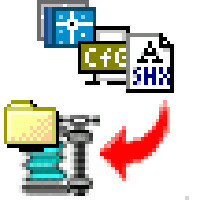 Cconvert BMP, TIFF, GIF, JPG file into editable DWG/DXF file. - Create editable lines by the original image, no AutoCAD requested. - Input image file: Scanned drawings or any images in formats of BMP, JPG (JPEG), GIF, TIF (TIFF), PNG, etc. - Color or black-and-white image with gray stages is also supported. - Solid raster vectorization supported. - Output file: DWG or DXF in editable vector, which can be saved as AutoCAD R14~2012. - Stratified by color in converted drawing. - Output line type: center line or outline. - Easy to use, no complicated settings. AutoDWG offers one-stop solution to convert your paper drawing to editable cad file, we have both full automated conversion software and Hi-quality manually redrawing service, please email us your scanned paper drawing and let our professional CAD drafters reconstruct the drawing for you. We accept both scanned Tiff or PDF files, if your file is too large too email, please also contact us to upload it to our FTP site. We are using off-shore drafting engineers, all are experienced CAD experts, and we are using full QC control flow to eliminate mistakes and this makes all finished drawings clear, correct and still commercial. Please feel free to contact us for more information on this conversion service.